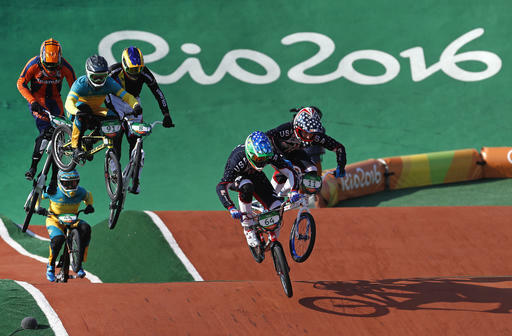 After an impressive showing for the United States in BMX racing in Rio de Janiero, the team's same five riders could make another run in four years in Tokyo. Men's gold medal winner Connor Fields and women's silver medalist Alise Post are in their primes in their mid-20s. Both cyclists took a big step forward after they were part of a team that failed to medal in London in 2012. "Come on, let me enjoy tonight before I start thinking about tomorrow!" Fields said about the Tokyo Games in 2020, minutes after winning the first gold in the American-born action sport for the United States. 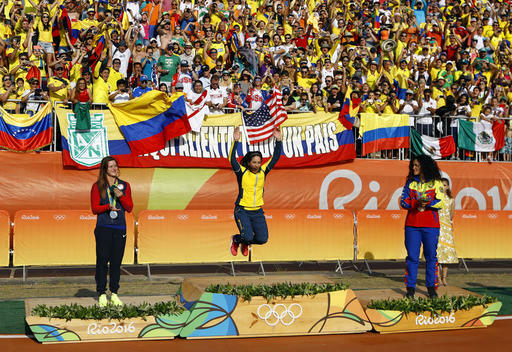 After her medal ceremony, Post sounded like she was ready to head back up the ramp. "Honestly, we could all go again, I don't now what everyone's plans are, but it was a great honor to represent the United States with my team," Post said. Nic Long just missed out on a bronze medal in a photo finish after leading for much of the final. Corben Sharrah just missed the cut to get out of the semifinals. On the women's side, Crain also finished fourth in the final. She sounds like she's ready to come back for more. "Hopefully I'll see you guys in four years in Tokyo," she said in a video posted on Instagram to thank family, friends and fans. USA Cycling hopes to build on the team's run, and especially the medals for Fields and Post, to draw more interest in BMX from children and teens. Jaime Staff, the BMX director for USA Cycling, says development will be the key. And even if the United States fields the same five-member team in 2020, Staff said it can only help to have younger riders coming up behind them to add a competitive edge. "I hope that the kids back home watching are saying, 'Wow, that's something I want to do. Mom and Dad, take me out to the track,'" Fields said. "Any kids at home if you're thinking about trying it, give it a go. You won't regret it." Staff's predecessor, Mike King, left the position after the London Games. He knows it took a lot of work to get Team USA atop the medal stand finally in a discipline that traces its roots to Southern California. Proud of @usacycling @JimMillerUSAC @JamieStaff on an epic Olympic BMX performance. That was a 10 year effort to finally secure Gold!